Atlantis Aquaventure is putting more power in guests’ hands with the launch of an amazing value two-day ticket for the first time, with lots of excellent extras thrown in too. The Brit Award-winning band, famed for their pop-punk hits have sent fans into a frenzy by posting snaps on Instagram, taking over Dubai’s most iconic resort – Atlantis, the Palm. Damien Duviau has been appointed as the new executive chef at Nobu Dubai, which is located at Atlantis, The Palm. The French national previously worked at the same restaurant from 2010-2013 as a sous chef. Michelin-starred Italian chef Davide Oldani will join forces with Ossiano’s chef de cuisine Grégoire Berger for an exquisite Four Hands Dinner from 18:30-22:30 on March 8th-9th. Dubai’s ultimate entertainment destination, Wavehouse, has opened its doors is well and truly set to shake up Dubai’s definition of dining, entertainment and nightlife. Tickets for the 2018 World Cup Russia matches may have been sold out, but there is no better or bigger place in Dubai to catch all the action live from Russia than the World Cup Fan Zone at Atlantis, The Palm. 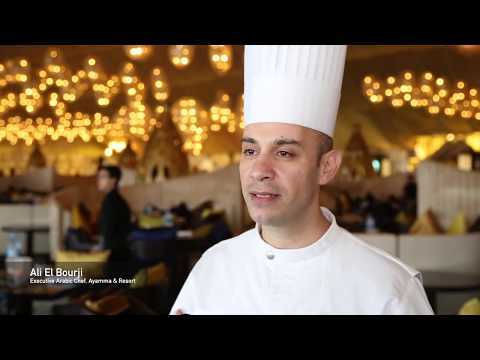 Atlantis, the Palm has announced the invigoration of its renowned Asateer Tent, with the addition of culinary delights from celebrity chef restaurants, Gordon Ramsay’s Bread Street Kitchen and Giorgio Locatelli’s, Ronda Locatelli.